Batman: Dark Tomorrow (Microsoft Xbox, 2003) w Case & Manual Very Nice! Batman: Dark Tomorrow (Microsoft Xbox, 2003) Complete Game Good Condition ! 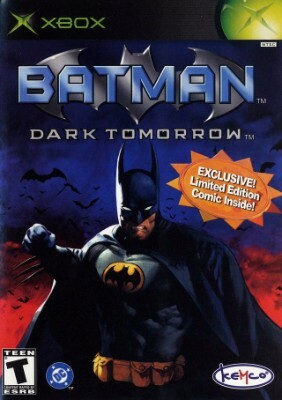 XBOX BATMAN DARK TOMORROW GAME - COMPLETE w/ COLLECTORS EDITION COMIC - TESTED!